Ok, so here is how I am going to complete this challenge: I am going to copy and paste the list from my prior blog post (which you can read here) and cross off things I find at the buck-o-rama. It should be easy to calculate the total cost as time goes by since everything is a dollar (plus tax). 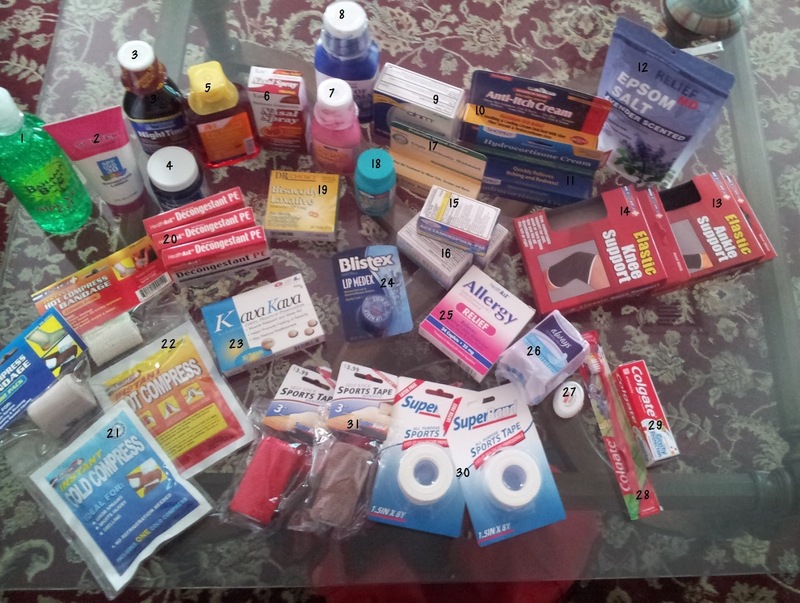 I am going to show you how to build the most comprehensive first aid kit for the least amount of money. Then I will compare the cost of the "generic" brand to the retail cost of its name brand counter part. Let's see how much we can save. Stay tuned for a post listing the totals. I will update this page as I put the kit together, and when I think it is done, I will do a post about the final total comparison.